Children and young people in South Tyneside can look forward to receiving better services following the re-location of a number of teams under one roof. The fostering and adoption teams, social work teams for looked-after children, the participation team and the connected carers’ team, have all moved into new refurbished offices at South Shields’ Market Place. It’s about making sure our young people feel confident. The move means looked-after children, care leavers and carers can now access a range of support in a single location. The Mayor of South Tyneside, Councillor Ken Stephenson, performed the official opening. By bringing together related services in one place, young people and their carers will have enhanced access to a ‘one-stop-shop’ of information, support and advice as well as facilities such as meeting rooms.
. 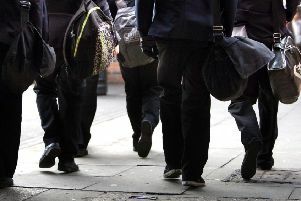 The new service has been funded by the Department of Education after the South Tyneside and North Tyneside Councils were named the region’s first Partners in Practice. As Partners in Practice, both councils will share their expertise to help drive up standards at other local authorities as well as bringing forward their own innovation project. Coun Moira Smith, Lead Member for Children, Young People and Families, said: “The launch of our WorkPlace service is about making sure all our young people feel confident and can access the right support and training to allow them to achieve their goals. South Tyneside Council is one of just a handful of councils across the country whose Children’s Services have been rated ‘Good’ with ‘Outstanding’ features.